The epicenter of the Zika outbreak is in Brazil, but the virus has also spread to 29 other countries, prompting the World Health Organization (WHO) to declare the cluster of birth defects linked to Zika a global public health emergency this week. That designation will help expedite research on Zika’s link to babies born with microcephaly, or underdeveloped brains, which was first reported in 2014 Zika cases in French Polynesia. Zika is transmitted by mosquitoes, and most of the other countries where the virus is actively spreading are in South and Central America. 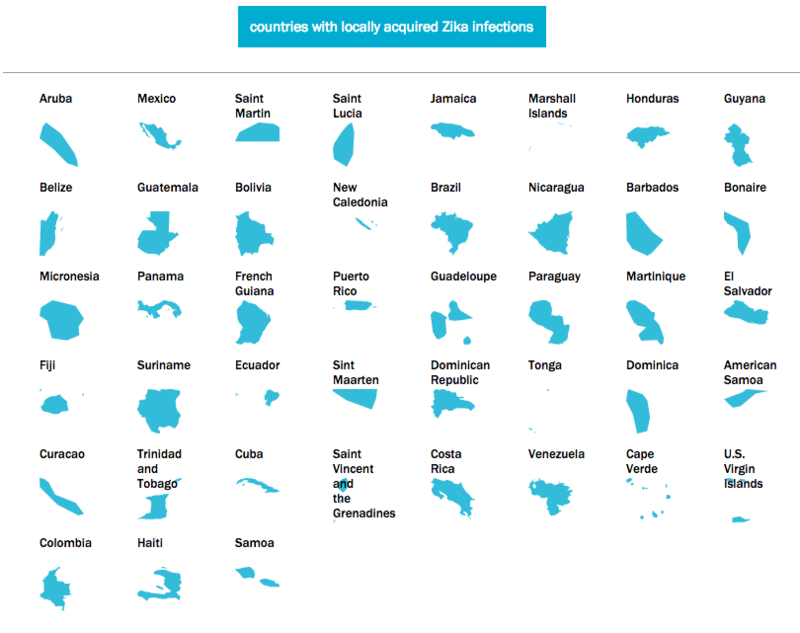 See the map below for everywhere the Zika virus has spread through mosquitoes based on the latest data from the Centers for Disease Control and Prevention, or click the list to see the names of all the affected countries.